Rixx Javix has a post today worth talking about as it is similar to something rattling around in the back of my head recently as well. 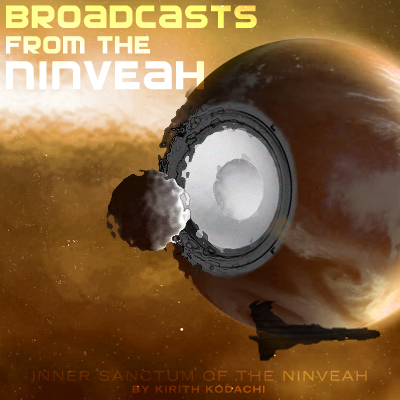 The post titled "The Mittani Killed The Eve Community" discusses how it feels that the Eve community (read: Eve blogosphere) has diminished somewhat since its heyday. Things have changed far beyond the Eve Blogging Community. Back when I took over from CK Eveoganda got most of its traffic from fellow bloggers. The entire EBP was built as a way to cross-promote fellow bloggers. Frankly, that world doesn't exist today. Of course traffic isn't the reason I write this blog. But the numbers do serve to illuminate the way things have changed. Add in Tweetfleet, G+, Facebook, Flickr and numerous other sources and you can see that the lanscape has changed significantly. Which begs the question, do we even need these services? Heck, do we even need bloggers anymore? The fact is that The Mittani site has added weight to a side of the coin that didn't really exist three years ago. More and more bloggers are joining the ranks of that news service, add that to EveNews24 and others and you have a very powerful brain drain that has been sucking the need for bloggers away for months now. I remember very well the explosive growth of the Eve blogging community during the rise of the Blogfather and the Blog Pack. We were pioneers of a sort, charting out a new society of the Eve metagame and although small in number compared to the overall game population, we were a tight knit group. And then? I'm still not sure what happened. It wasn't Eve News 24's fault. The first glimmerings of trouble began before that. CCP's dogged determination to make Walking In Stations over new spaceship content is probably the largest contributor to the malaise, taking out such vaunted members such as Wensley, Mynxee, and Manasi, among others. I talked in the past about how each veteran community member that leaves creates a huge hole in the fabric, more than a single person would normally leave. 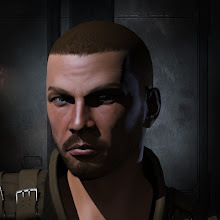 But its not fair to lay all the blame on CCP's doomed Incarna obsession. To be frank the Eve blogging community was too large for the population of gamers it serviced back in the day (or even today). Over 500 blogs at its height, it seemed like everyone was getting on the blogging bandwagon. It was a fad; the thing to do. And like any fad, it burned stupidly bright and then faded into a small fraction of what it was. That does not mean the entertainment value of the blogs remaining is somehow diminished, just that there is probably less variety and perspectives then there was a few years ago. In addition, you have theMittani.com which has created an outlet for people with valuable insights and opinions to share to do so without the overhead and/or stigma of running their own blog. Not to mention editors and built in audience. Outside of the news articles on the website, we have what essentially are well written and relevant blog posts without the blog. Its a different model than EveNews24.com's model of syndicating blogs and perhaps more robust in the long run as its not dependent on bloggers writing articles worth syndicating, but it also probably costs more in terms of ISK to keep those writers motivated (whereas EveNew24.com harvests the work the bloggers will do regardless). I think that personal blogs like mine and Rixx's will continue to be an outlier in the evolving Eve metagame. News sites that aggregate writings that appeal to a wider audience coupled with podcasts that reach a wider audience will ensure that bloggers will never reach the heady heights of 2007-2010 again. This is neither good nor bad, its simply the way it is. So. Where does all that leave us? I love this community. I've given a lot of my time, energy and effort to helping it and supporting it over the last three years. And I will continue to do so. I wish I had the time needed to just grab ahold and push forward. But I know better. I have a hard enough time between this blog, the game and the commissions. I simply can't over-extend myself again. Live or die. That is the question. Either way, this blog will go on until the day Eve closes down for good. As long as Eve survives and I am able, Eveoganda will endure. Even if no one visits. I hope someone steps up to the plate, or we discover a way to open-source those resources. I also hope the blogging community experiences a revival and a renewed sense of purpose. Because things continue to change and sometimes, albiet rarely, they do change for the better. The questions you should be asking yourself are these. Is it worth saving? And are you the person to do it? If you are, then know that I will be here to help in any way I can. Is Evebloggers.com and the Eve Blog Pack itself worth saving? Maybe, but I wonder if that have outlived their niche in the Eve metagame. If I had the time and resources I would definitely give it a good old college try but like Rixx I'm stretched as it is, already giving up my lucrative EON writing job and my work at Eve Tribune earlier this year. I can't afford more responsibilities either. As for my blog, it exists because I like to write. Even if I quit Eve this blog will exist for my next obsession. In the end, change is the only constant. Well said my friend. We soldier on. Anyway. Things change and I'm sure it'll all get sorted out one way or the other. You bloggers will remain long after sites line EN24 cease to exist, my system is designed that way - to no create a dependance or migration which would ultimately drive the demise of the blogger community. To say it was a fad is an understatement. It was like 50% of the Eve population suddenly had a blog back in like what... 2009? I'm pretty sure almost every member of my corp suddenly started a blog around that time and now there are basically none left. I am glad though that things have normalized... I'd much rather have quality over quantity and the people that are willing to put in the time and keep blogging for years are the ones most likely to develop into creating quality content. Another vote for quality over quantity. I don't follow certain aggregate sites and instead I have certain blogs I read - mainly led by what other blogs you link to. I guess I'm like that dog with an established pattern around the neighborhood, stopping only at certain trees to smell the news. Like Knug above me, I don't follow aggregate sites, but rather I have a list of blogs in google reader catagorized under 'Eve'. Occasionally you, or another blogger links to a blog I don't already have, and I check it out. If it's good, it gets added. The area that blogs have an advantage over aggregate sites is tailored content. I only follow the blogs that I'm interested in, which generally means I enjoy reading each and every post made. With aggregate sites, maybe half of the content at best is interesting to me. I have been blogging about virtual worlds since 2006, when I had to take a look at Second Life on behalf of my then employer. 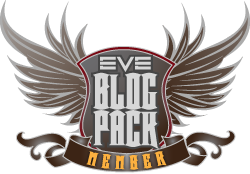 My current favourite virtual world happens to be Eve Online, so yes - I'll blog about that. And when Eve disappears and/or I find something else that's (even more) interesting, I'll blog about that. I blog because I like to share!